carol j. phipps | all galleries >> Galleries >> Autumn Scavenger Hunt > Wild. Lovely flower great composition. Voted. A lovely shade of fall too! Nice colors nature produces and you picked up it´s wild beauty! 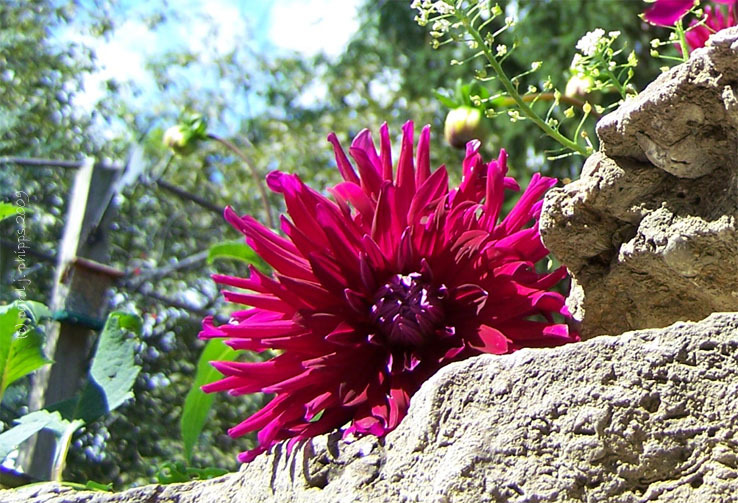 Beautiful, nice contrast between the soft flower and stone. Well done! A good radial too !! Nice shot of this wild beauty. Lovely shot, great colour of this beautiful flower.